Your Child’s Autism is Not a Theory! TV3 Ireland AM recently interviewed an autism “expert,” a clinical psychologist, Tony Humphreys, who made a comment about autism, saying the disorder is “a theory.” So now your kid’s a theory. How about that? Chalk this up to another misunderstanding into which a naïve, clinical psychologist fell! Will these professionals ever learn that parents of children with autism are a prickly bunch? Understandably, parents are outraged at his comments. It is hard enough living with a child with autism, fighting for that child’s rights to treatment and education, and bankrupting the family for the child’s treatment. What’s impossible to then bear is for some so-called expert to come along and deny your child’s debilitating condition by calling it a theory! It also doesn’t help that this psychologist’s case dredges up the “lack of love” angle as a cause of autism (which reminds us all of the infamous Refrigerator Mother Theory, the less well-known Detached Father Theory and finally, the sophisticated Assortative Mating Theory). Despite this debacle, which was sufficiently controversial that the Irish Examiner actually pulled the article, a couple of points do need to be made. Autism is definitely real; however, the causes of autism are not yet well known. 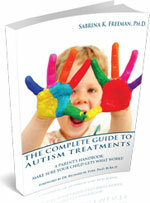 Much good research is being conducted and many theories as to the causes of autism are being researched. Unfortunately, we do not yet know how to measure autism biologically. We can neither count blood cells nor measure proteins to determine whether or not a child has autism. The diagnoses are always behavioral, which is not adequate, but that’s all we currently have. One day, though, we will actually know the causes of autism. In the same way we know “fever” is a symptom of underlying disease rather than a diagnosis on its own, autism may similarly be a symptom of one or more conditions. For parents of children with autism, this difference may be no more than semantics, despite the fact that researchers will be gratified after years of research. The term autism may eventually come to describe a group of symptoms, but when your child needs help, does it really matter? Let the Irish Examiner experience be a cautionary tale for the next autism expert who wades into autism’s very deep waters.